Your donation is valuable — to you, and to your community. 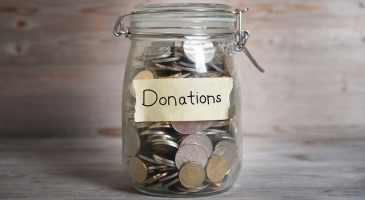 The IRS requires donors to determine the value of their donations for tax purposes. The value is not the original purchase price, but the estimated resale value or replacement cost in its current condition. To help you determine those values, we have created a valuation guide that lists price ranges for common donation items. Can Goodwill place a value on my non-cash charitable contribution for me? No. The IRS requires the donor to assign values. Some acceptable methods are estimated resale value, replacement cost or qualified appraisal. Regardless of the method used, you should consider the age, condition, quality, style and use of the donated articles. What documentation should I obtain at the time of my donation? When you donate, Goodwill will provide you with a receipt. It will note the date and location of the donation. You must fill in the items donated and the value. 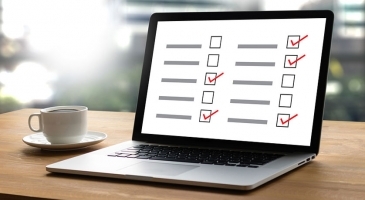 In many cases, our donors request valuation assistance from a tax advisor at a later date, so you should make item descriptions as specific as possible (particularly concerning quality, age, and condition). I lost my donation receipt. Can Goodwill give me another copy? Unfortunately, Goodwill cannot provide copies of donation receipts. The large volume of donations we receive prohibits us from keeping records. We urge you to safeguard your receipt, as this is the only copy available. Goodwill’s Tax ID # is 06-0662111. What forms will I have to file with my tax return? If the total deduction for noncash charitable contributions is $500 or less, you may claim the entire amount on Schedule A. If the total is more than $500, you will need to fill out the applicable sections of Form 8283 to support your Schedule A amount. Does the new rule for substantiating single contributions of $250 or more apply to non-cash contributions as well? Yes. Fortunately, Goodwill donation receipts meet all the additional documentation requirements.